Whenever a chronic hepatitis infection is diagnosed, a person is typically referred to one or more specialists. Understanding what these specialists do—as well as the important function your primary care physician serves—can help ensure you receive the best care appropriate to your individual needs. More often than not, a primary care physician will be the first person to diagnose a hepatitis infection. In many cases, the physician will have vast experience in the treatment and management of the disease, particularly in communities where viral hepatitis is prevalent. At other times, he or she may be less familiar with liver disease but still play a vital role in coordinating care among multiple providers. The chief role of the primary care physician, irrespective of experience, is to foster engagement so that care is both continuous and uninterrupted. They can perform the primary investigations and help a patient (and family) make an informed choice as to the most appropriate course of care. Even more broadly, the primary care physician can help patients set goals for improving their overall health, whether it be reducing alcohol intake, dealing with substance abuse, addressing treatment adherence concerns, or linking a patient to appropriate mental health or social work services. In the end, no disease should be treated in isolation. By having someone "connect the dots" between your multiple providers, ensuring that communications are clear and well-coordinated, you are more likely to reap the benefits as a patient. What Types of Liver Specialist Are There? Persons diagnosed with a chronic hepatitis infection (and, in some cases, an acute infection) are regularly referred to either a gastroenterologist or a hepatologist, both of whom are qualified to treat liver disease. There is often some confusion, however, as to who may be “more qualified,” especially if there are complications such as cirrhosis. By definition, a gastroenterologist (the prefix "gastēr" of which is derived from the ancient Greek for belly) is an internist who has completed specialist training in the disorders of the digestive tract, including the stomach, intestines, liver, pancreas, and gallbladder. In terms of training, a gastroenterologist must first be board certified in internal medicine, after which he or she must complete a two- to three-year fellowship in gastroenterology in order to become eligible to take the board exam. Expertise can vary significantly from person to person, with some specialists having greater exposure to liver disease than others. By contrast, a hepatologist ("hēpar" derived from the ancient Greek for liver) is a medical specialist who specifically treats disorders of the liver. Hepatology is considered of sub-specialty of gastroenterology as it focuses solely on the liver and its associated organs, such as the pancreas and gallbladder. Unlike training for gastroenterology, there is no specific certification exam in the field of hepatology. There are, however, one- and two-year fellowships during which the specialist-in-training will have extensive exposure to the broad range of liver disorders. The sheer intensity of training, in fact, can rarely be matched by a gastroenterology fellowship. Hepatologist vs. Gastroenterologist: Is One Better Than the Other? While common sense might dictate that a doctor trained in liver disorders is better suited to treat hepatitis infections, it’s not always the case. While a hepatologist will invariably be well versed in both current and experimental treatments for liver disease, there is no fundamental reason why a hepatologist is better suited to treat hepatitis than a gastroenterologist. In fact, many gastroenterologists have a high-level competency in the treatment of hepatitis, whether to determine the general health of the liver or prescribe the course of therapy most appropriate to your individual viral type. With that being said, experience among gastroenterologists can vary significantly. 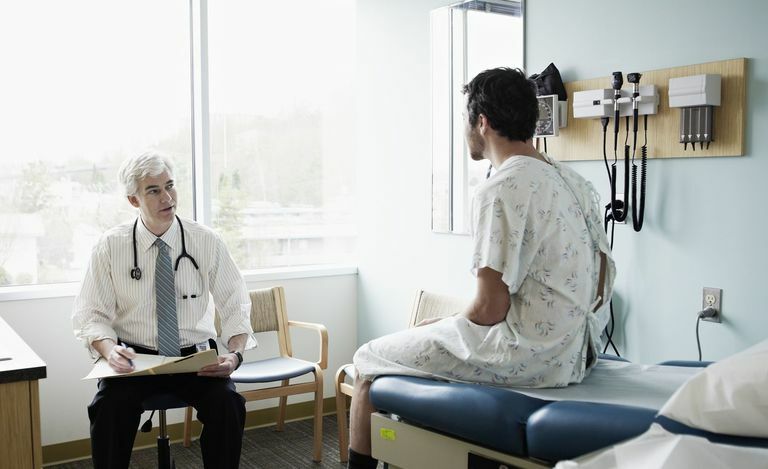 Choosing the right one relies heavily on referrals from a trusted medical source—ideally your primary care physician—as well as a frank and open discussion as to the expertise of the prospective physician. By comparison, a hepatologist, by its very definition, is a specialist highly skilled in the treatment of liver diseases, with access to the full body of data regarding current and developing therapies. Did your training include a liver fellowship? What percentage of your practice is devoted to liver disease? How many liver patients have you treated? How do keep appraised about developing and/or experimental liver treatments? Asking these kinds of questions is not only your responsibility, it's your right. If you feel resistance from the doctor, you may need to question whether that same resistance will undermine your ability to make informed judgment about your medical treatment and care. Medical websites like Healthgrades can further assist by providing additional information as to a doctor’s certifications, areas of practice, and any sanctions or malpractice suits on file. The causes of hepatitis can be many and often require the treatment of an underlying or associated condition. This is especially true for persons infected with both hepatitis and HIV. In the case of hepatitis C, for example, the rate of HIV co-infection can reach 30 percent in some populations and as high as 92 percent among injecting drug users (IDUs). In the event of HIV/hepatitis co-infection, an infectious disease specialist should be sought to ensure that the person is placed on antiretroviral therapy and that the prescribed drugs are not contraindicated for use with hepatitis medications. The specialist can also monitor liver enzymes to ensure that the antiretrovirals do not cause any side effects that can adversely impact liver function. While some liver specialists may have experience in the treatment and management of HIV, many don’t. Having an infectious disease specialist on-board may not only help avoid treatment-related side effects but ensure that the HIV viral load is completely controlled during the course of hepatitis therapy. American College of Gastroenterology. "A Journey Toward Excellence Training Future Gastroenterologists." The Gastroenterology Core Curriculum (Third Edition); Bethesda, Maryland; May 2007. American Association for the Study of Liver Diseases (AASLD). "The 65th Annual Meeting of the American Association for the Study of Liver Diseases: The Liver Meeting 2014." Hepatology. October 14, 2014; 60(S1):225A-258A. American College of Gastroenterology. "What is a Gastroenterologist? " Bethesda, Maryland ; January 20, 2014. What Is the Role of a Hepatologist? How Do You Choose a Hepatitis B Medication?